Legendary progressive rock band Yes, kick off their UK Tour on 29th April in Oxford. On this tour, fans can look forward to a unique Yes experience; the band will perform three of its most popular albums in their entirety, The Yes Album, Close to the Edge, and Going for the One. Performing three of rocks most revered albums, Yes members Chris Squire (bass), Steve Howe (guitar), Alan White (drums), Geoff Downes (keyboards), and Jon Davison (vocals), will delight audiences with Yes staples from the last four decades. Fans will enjoy long-time favourites, including “Yours is No Disgrace,” “I’ve Seen All Good People,” “Starship Trooper,” “Close to the Edge,” “And You And I,” “Going for the One,” “Wonderous Stories,” “Awaken,” and more. In addition, Yes will perform all tracks in the order they appear on their corresponding studio albums. Exclusive Yes meet & greet and VIP ticket packages are available for all shows, please visit the band's website, YESWORLD.COM, for full details and more information on the tour. 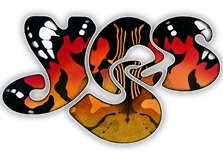 Founded in 1968 by Jon Anderson and Chris Squire, Grammy-award winning recording artists, Yes, have created some of the most important and influential music in rock history, such as iconic pieces “Roundabout,” “Close to the Edge,” “I’ve Seen All Good People,” “Owner of a Lonely Heart,” and countless others. Having sold tens of millions of records over its four-decade career, Yes continues creating masterful music that inspires fans and musicians around the world. For more information on Yes, visit yesworld.com. Join Yes on Twitter and Facebook at twitter.com/yesofficial and facebook.com/yestheband respectively. Ticket prices London £50* (boxes), £45, £40 and £35. Agency and Credit card bookings are subject to booking fee. Showtime is 7.30pm and tickets are available from bookingsdirect.com or 24 ticket hotline: 0844 338 0000. Out now is 5.1 surround mix of Close to the Edge with a new stereo album mix by Steven Wilson. Also Yes – The Studio Albums 1969 – 1987 Box set on Warner Music / Rhino UK. It contains all twelve of the band’s classic studio albums with bonus material.